Howdy folks. Normally, I have no trouble writing. Stopping and brevity are issues I struggle with, but getting started has never been difficult. On this journey, the task is a little overwhelming. Trying to stick to some more surface details about the “how” of the adventure proves difficult because there is so much to say about each and every process and piece of gear-and the gear and processes change and evolve. I will write about these things but it doesn’t feel like a good use of my time right now. The inner journey continues to be rich and deep. Many old memories have surfaced to be seen in a new light. Each day brings new experiences and opportunities. I continue to strive to be a good person and to understand what that means. I try to stay open, try not to pre-judge, try to simply not judge, try to be nice. Sometimes I succeed. Reading these words, these attempts to briefly and tangentially describe what I don’t have the time and mental or emotional distance to write about fully – it feels trifling – paltry. Anyway. Enough of all that. Just know that I will be writing about this trip but I am going to keep on living it for now. Things are going very well. My body is in great shape. No residual pains. My feet and shoulders ache a bit when I am hiking, but feel fine when I stop. I had an exciting adventure getting around the northern Cali southern Oregon fires. 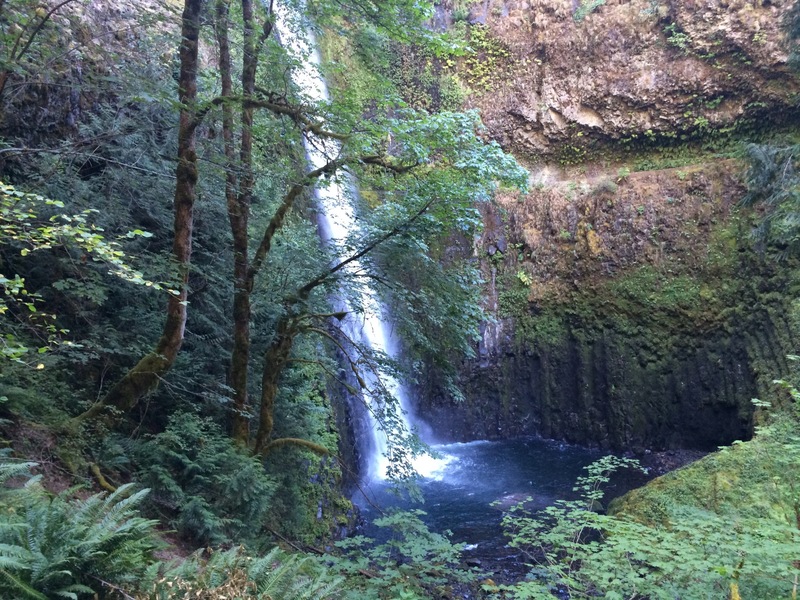 Oregon showed a little bit of the famous rain and lots and lots of green. The mountains in Oregon are lovely. The talk peaks are several thousand feet taller than any of the surrounding mountain ranges so you can see peaks 200+ miles away on clear days. 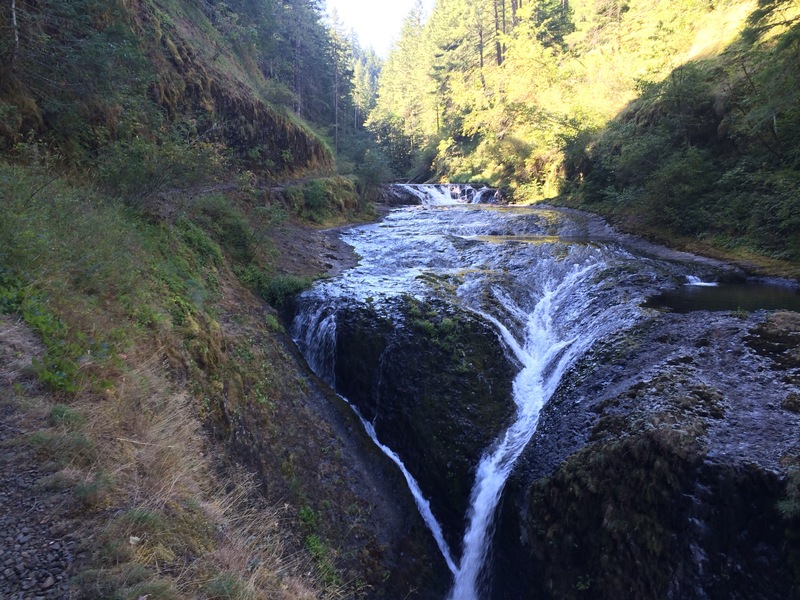 Eagle creek and tunnel falls completely live up to all the hype. Truly beautiful. I shot more video than stills through there so it will be a while before you get to see that stuff. 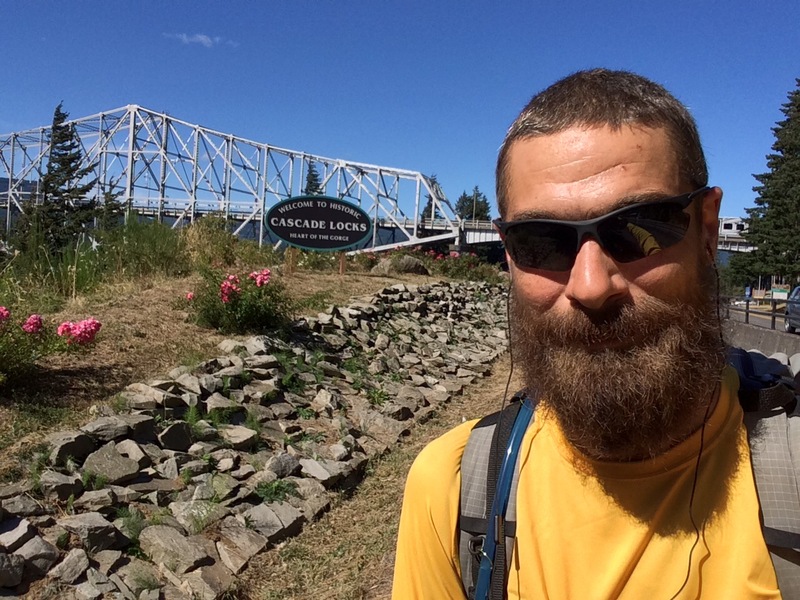 Later today or tomorrow,I walk across the bridge of the gods and enter Washington State. I am so thrilled to be out here and don’t want the trip to end. Been thinking about you a lot over the last few days. Kristen Menefee was visiting us with her family, naturally your name came up during our reminiscing. After many weeks of radio silence on your part it was so exciting to see the blog pop up in my RSS feed. I’m really proud of you for doing this insane and brave and epic thing. Can’t wait to hear more!